Lockheed Martin have completed the on-orbit testing of the second Advanced Extremely High Frequency (AEHF) military communications satellite, allowing for Satellite Control Authority (SCA) to be turned over to the US Air Force (USAF) team at Vandenberg Air Force Base in California for its operation role. AEHF-2 was launched on May 4, by AV-031 – the United launch Alliance (ULA) Atlas V rocket in the 531 configuration – from Space Launch Complex 41 at the Cape Canaveral Air Force Station, Florida. The launch came at the second attempt, following an earlier scrub due to a lack of helium flow from the ground support equipment to the Interstage Adapter compartment on the launch vehicle. Current plans will see two further launches increase the number of AEHF satellites in orbit to four; one satellite is already in orbit, one is awaiting launch, and a fourth is under construction. Negotiations are underway regarding the procurement of two further satellites, increasing the number of spacecraft to six; the number which was originally planned before the programme was scaled back in favour of the now-cancelled Transformational Satellite Communications System, or TSAT. The launch of AEHF-2 came 21 months after that of AEHF-1, which is now known as USA-214, in August 2010. The day after launch, USA-214 was expected to perform a manoeuvre to begin raising its orbit, however shortly after ignition its apogee motor failed. Following another failed burn two days later, forcing engineers to devise an alternative plan to raise the satellite into its final orbit. Using its manoeuvring engines and Hall thrusters, the satellite finally arrived in geosynchronous orbit in late October last year; fourteen months after launch, and almost a year behind schedule. So far, AEHF-2 is enjoying its life in space, completing the key milestone of on-orbit testing. “Completion of on-orbit testing and handover of AEHF-2 is a critical milestone for the Air Force and our nation,” said Dave Madden, Director of the Military Satellite Communications Systems Directorate at the U.S. Air Force’s Space and Missile Systems Center. As noted, Lockheed Martin is currently under contract to deliver four AEHF satellites and the Mission Control Segment. The program has begun advanced procurement of long-lead components for the fifth and sixth AEHF satellites. 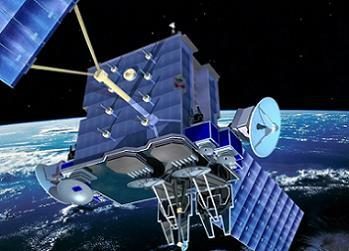 “The U.S. Air Force, Lockheed Martin and Northrop Grumman AEHF team performed a thorough and efficient on orbit test campaign for this critical satellite, and AEHF-2 is performing exceptionally well,” added Mark Calassa, Lockheed Martin’s vice president and AEHF program manager. 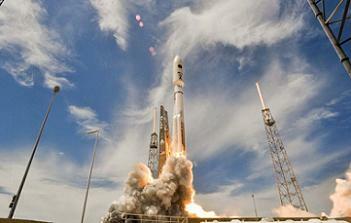 (Images: Lockheed Martin and ULA).